Vanquish is a true cinematic science fiction gaming experience and from the very first moments, it’s like you are part of some big budget Hollywood action movie. 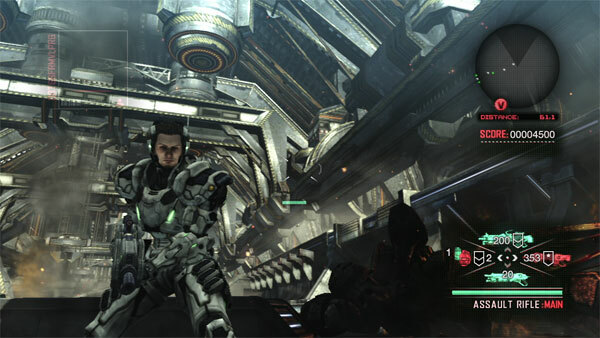 The gameplay of Vanquish is a third person shooter that is oozing with action as you battle an almost unending supply of robots. In Vanquish, gamers are turned into special agent Sam Gideon, a clichéd military man who is gruffer than gruff and more man than you’ll ever be! In this future world, the US and the Russians are attempting to gain the upper hand of the last resources of the planet. In order to find alternate power sources, the Americans build a space satellite to capture the suns rays but when it's hijacked by the Russians, they destroy San Francisco in order to force the Americans to surrender. Not on Sam Gideon's watch my friend... not on his watch. 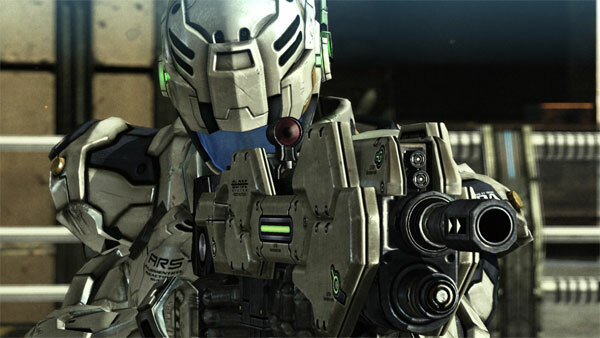 The gameplay of Vanquish is quite unique and the developers have ensured that you don’t know what’s going to come up next so you’re always on edge. Enemies are quite varied and diverse; each with their own strategies that sometimes gives you the proverbial spanner as you face all shapes and sizes of your robotic enemies. Nothing is more fun than fighting ground robots and then you need to fight the skies as they come from the heavens. Then you have the boss battles that can be quite challenging as the fire fights use more ammunition than the American military. Best of all, it's all fast fast fast! Nothing is slow paced in this game and even the breather segments, just barely allow you to catch your breath. In terms of game completion, most people will be able to knock this game over in around 10 hours, veterans even less and although it’s a little on the short side, it’s actually one of the more satisfying experiences for its endless action this year. The control system is well mapped on the 360 controller with a subtle hint of force feedback during the battle. With a combination of buttons and the analog stick, it’s actually quite a competent configuration system that will save your skin on more than one occasion. For me, the game is reminiscent to Gears of War but just imagine that game on fast forward and that is the experience you will have in Vanquish. Another game Vanquish reminds me of is Split/Second through its similar quick-time events as buildings and bridges collapse around you as your gunning your way through enemies in not only to save your hide but get to the next check point. Your character also has access to a high-tech suit that contains boosters and a slow motion (AR) mode that is great to mix up during combat. Your suit is the key to this game and can become quite powerful at times in order to take on the bosses. The game contains a decent cover system but movement and speed is how you will obtain victory. To throw another spanner in the works, this time for player, you can upgrade weapons that do help balance the ante. In terms of weapons, you have access to one weapon which morphs into one of three different types such as the sniper rifle. Additional mods are available on the battlefield to help keep the gameplay fresh and as an incentive to player to search for the environment for more goodies. Another cool aspect of the game is that when you’re about to die or you're extremely low on health, the AR mode takes over as you attempt to dodge bullets and get yourself to safety to recover. Imagine Matrix bullet-time as you scamper to get away. Graphically, the title is highly detailed and features some decent character modelling and some lush environments. As the gameplay is quite frantic, the silky smooth frame rate only assists in the overall experience. There’s great attention to detail and gaming environments look quite realistic at times. The slow motion effects look good and even though it has been done before, thanks to Max Payne and The Matrix, it has this nice effect in Vanquish which looks quite surreal. The highlight with the graphics, apart from the well designed models is the special effects that are bigger than Ben Herr which look visually quite impressive on FULL HD. Voice acting is clichéd and contrived in Vanquish but ironically it suits the fast paced gameplay, especially the gruff Gideon. The soundtrack is just as fast as the gameplay that sounds phenomenal through a surround sound system and nicely compliments the gameplay. 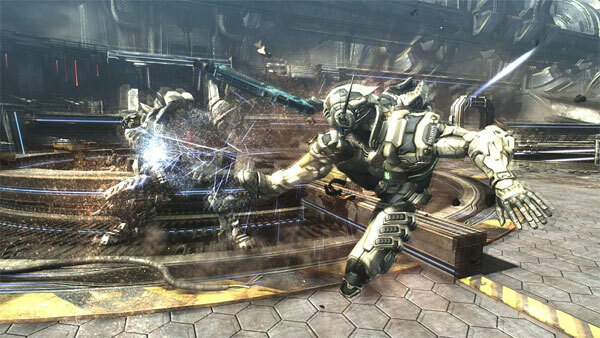 In all these highly anticipated games for 2010, Vanquish actually delivered whereas some other games have not. This science fiction third person shooter is a fast and furious experience and nothing is more satisfying than taking down all these crazy designed robots. The story is a little lame but fun, however the gameplay more than makes up for this and at the end of the day, when you’ve finished playing, you will be craving for more Vanquish! The only downside is that the game is a little short but Yeah-har... what a blast!